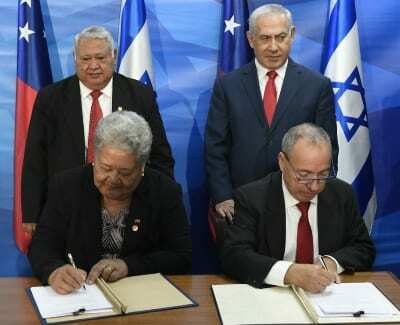 The Prime Minister of Samoa Tuilaepa Sa’ilele Malielegaoi has made his first trip to Israel securing a waiver agreement between the two countries. Israel’s Ambassador to Samoa Itzhak Gerberg highlighted the strong friendship between the two countries. Ambassador Gerberg is based in Wellington. Prime Minister Benjamin Netanyahu held a successful meeting in Jerusalem with Prime Minister Malielegaoi where the Visa Waiver Agreement between Israel and Samoa was signed, allowing freer travel for Samoans entering Israel. Deputy Director General for Asia and the Pacific, Gilad Cohen, stated: “it is our shared responsibility that climate change does not destroy our world” at his meeting with PM Malielegaoi. 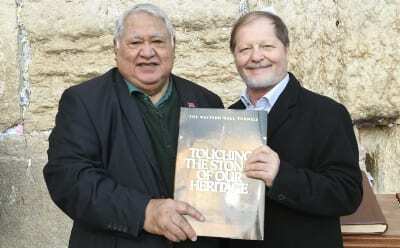 The two discussed the opportunity for regional cooperation in the Pacific, including how new ideas being developed by Israeli researchers can be shared with the Government of Samoa in an effort to address climate change, in addition to Israel’s existing contribution to the Government of Samoa’s agriculture and water. This agreement signifies further cooperation between both Israel and Samoa and enhanced investment in tourism.